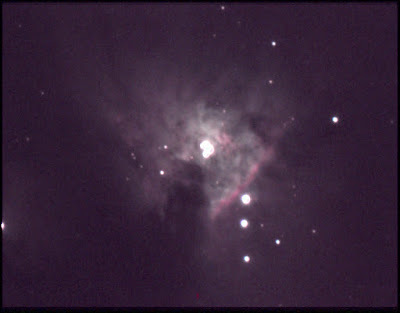 Celestron 9.25 SCT AVX, .63 focal reducer, Orion G3 Deep Space Colour CCD, 25x2sec images captured and processed with the Orion Studio Software. Swansea Astronomical Society member Colin Elphick reported observing Comet Catalena at 4am through 15 x 70 binoculars. These are ideal sized binoculars for comet observing as they have approximately twice the light grasp of 50mm binoculars and enough magnification to resolve many objects such as comets as being more than points of light. Moreover, they are still light enough for hand-held observations. At the moment they can be obtained at very reasonable prices.